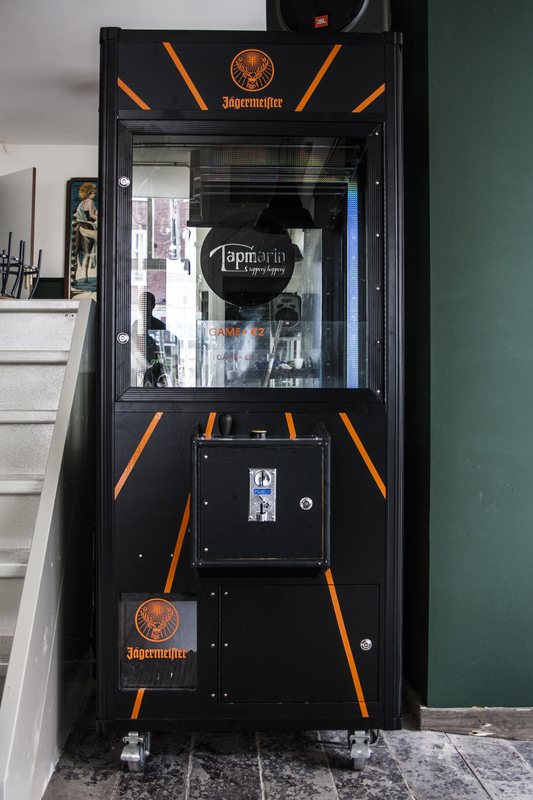 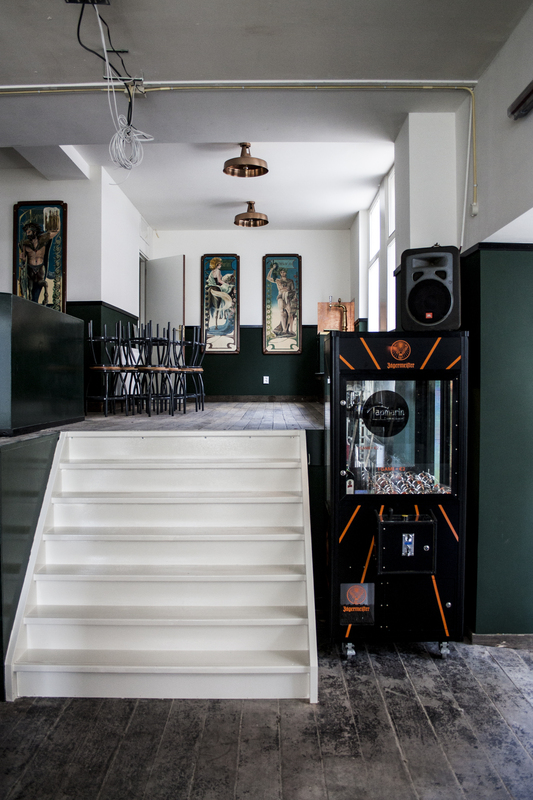 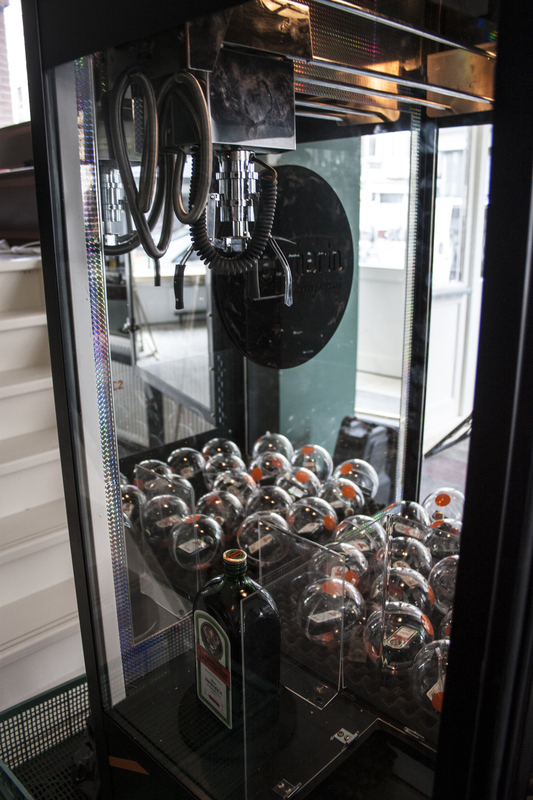 Together with Jaegermeister we created the Jagermeister Crane game for a new bar in Amsterdam called Tapmarin. 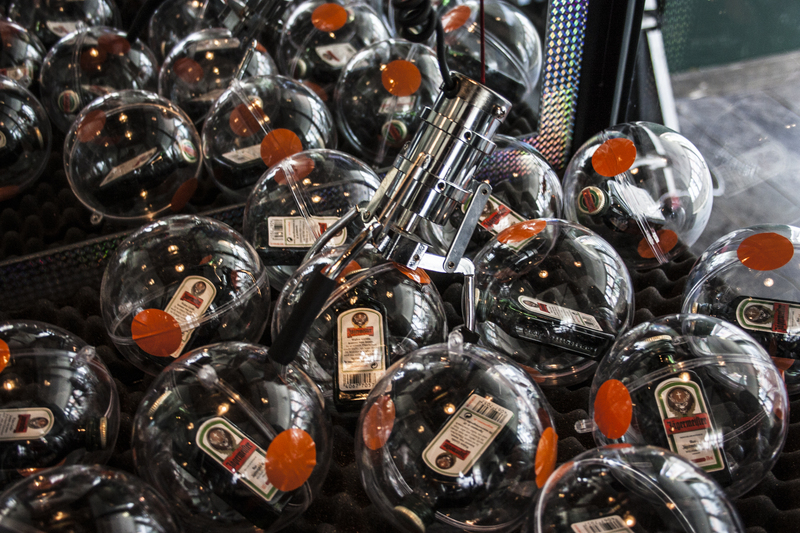 No more waiting at the bar, just grab the drink yourself! 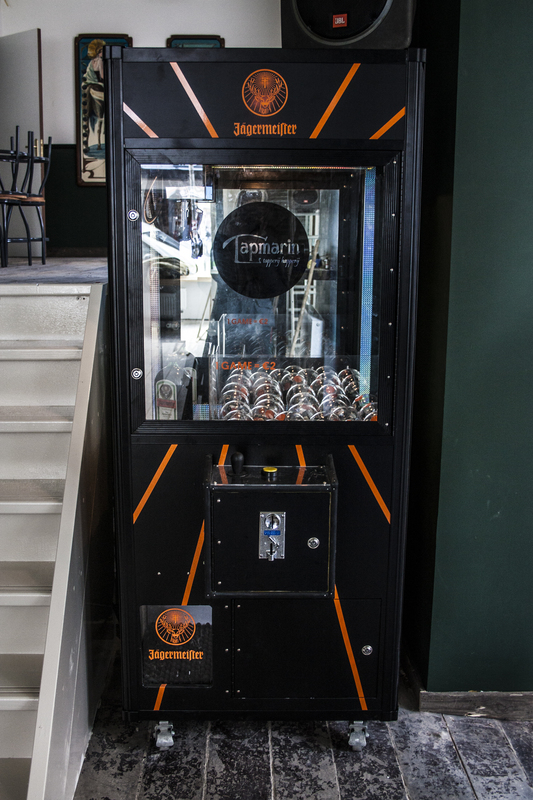 For €2 you could try to grab a cold Jagermeister from the machine, and keep trying till you got one. 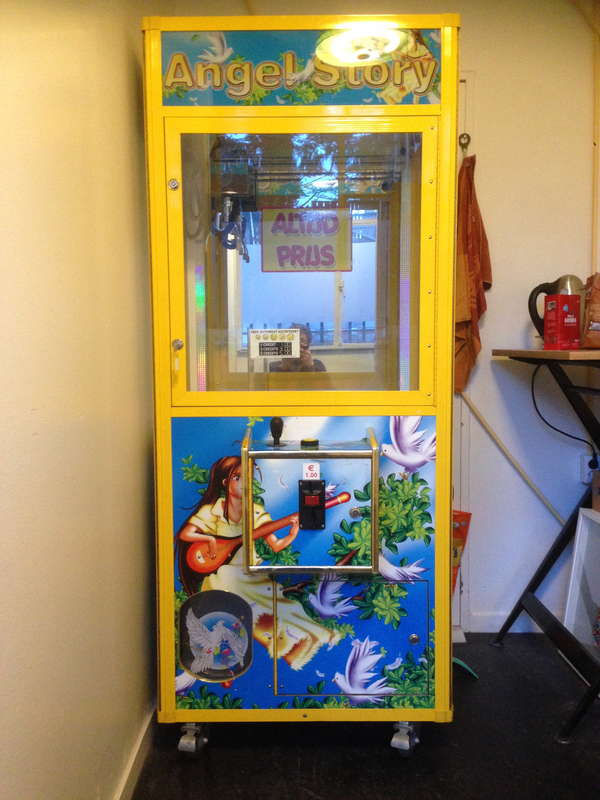 It’s an old crane game rebuild en redesigned. 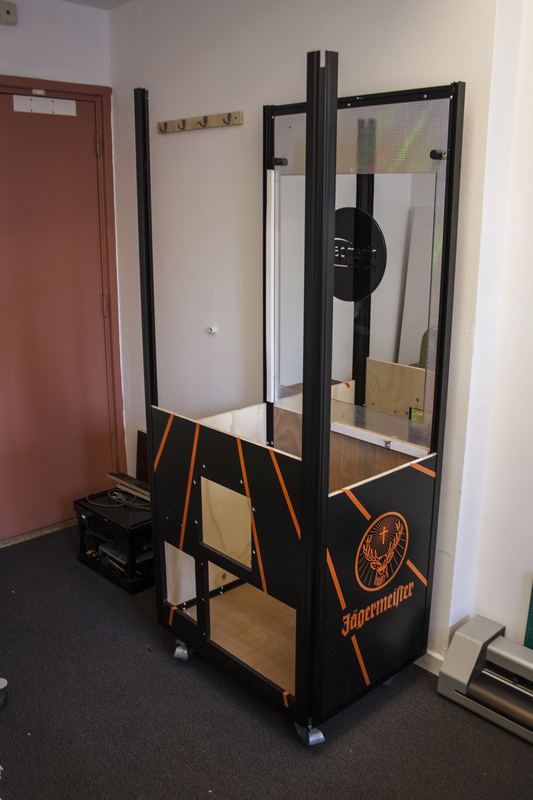 All of the panels were taken out and replaced with new wood, covered with stickers of the new design. 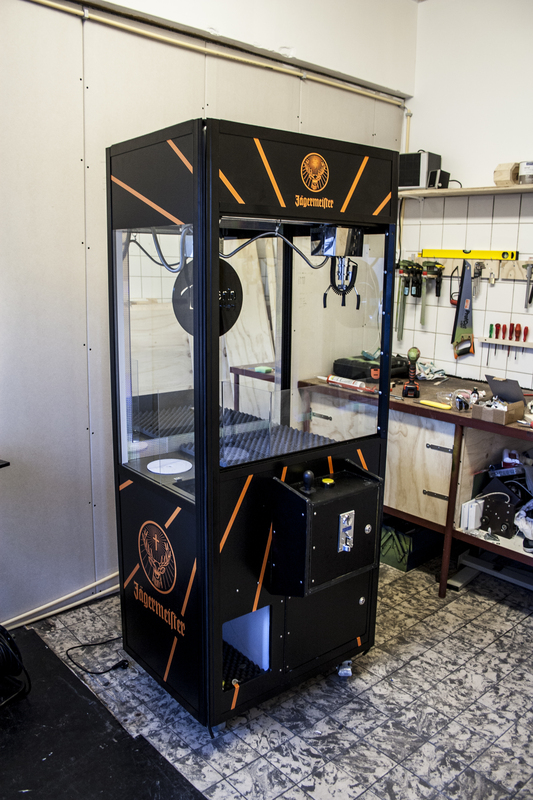 The parts were spray painted black and the claw reinforced. 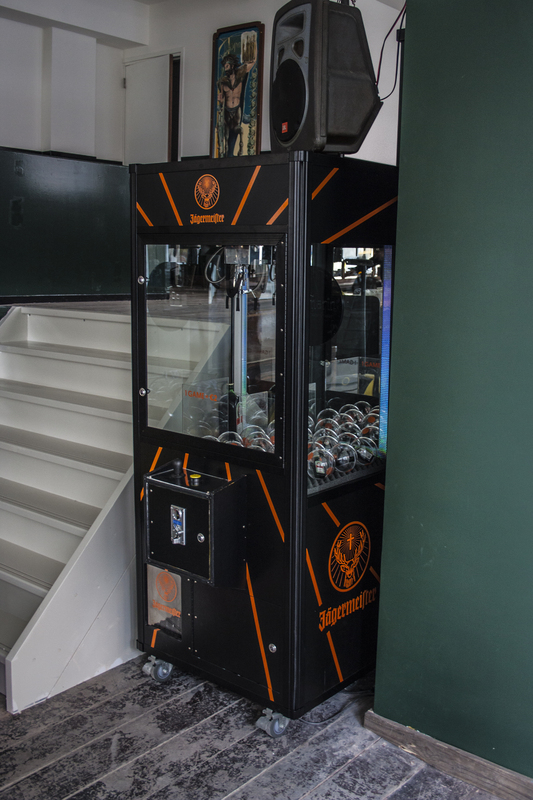 A cooler was build on the bottom of the machine to make sure all the bottles were cold.